Immediately after the November Paris attacks, my mother who lives in a small village in Morocco called me. She called to tell how sad she was for what happened in Paris, and asked me to pass on her condolences to my French friends. My mother is a Muslimah who prays five times a day. She did not call to justify what happened, or claim that the terror attacks had nothing to do with Islam. She just wanted to declare her solidarity with the victims. At the end of our call, she told me about an imam in the village who incited young people to go fight with IS in Syria. I asked her what she thought of him. She answered, "I have called the police to investigate. This is how I fight terrorism." My mother's call illustrates a key point for me. What I notice here in the west is a paradox: after each attack waged by militant Islamists, Muslims are asked to distance themselves from terrorism, and Muslim organizations do exactly that by sheer reflex. The mantra is repeated everywhere that Islam has nothing to do with terrorism. Notice the difference between saying "This is how I fight terrorism" versus saying "Islam has nothing to do with terrorism." The first is an act of defiance and resistance. The second is a way of distancing yourself. Furthermore, the mere act of distancing oneself from something doesn't exclude the possibility that you might inadvertently (or even intentionally and secretly) be supporting it. It's as if I would say: "I distance myself from racism..." but I do not act, and deep down in my soul maybe there's a reason I do not act! This is not to say that any given Muslim necessarily endorses terrorist ideologies, of course. But many are in fact too ashamed to admit that there is a problem with their religion. And having distanced themselves from the problem, they distance themselves from the solution. To distance your religion from terror is easy, it just takes few words to say. But to go against the ruling fundamentalist interpretation of the Qu'ran that is taught in schools and spread via fatwas and clerics is a completely different fight. Muslims need to fight the manifestations of extremism thriving in their societies, be it in their local communities in Europe or in their countries of origin. In Islamic schools, they still teach the old "us vs. them," believer/infidel dichotomy. In mosques, imams incite hatred against infidels and apostates. Books and fatwas preaching the same intolerant concepts are distributed to millions worldwide via Saudi petrodollars. These are the factories of terrorism and intolerance. And if we want to fight those phenomena, we should strike them at their sources. Five years ago I fled from my country, Morocco, to Switzerland. My life was in danger because I am an atheist and I dared to blog about it. Here in the west, when I criticize Sharia or the situation of women and apostates in the Islamic world, if I insist we must understand Islam in its historical context and argue for an Islamic enlightenment, I am often accused of being Islamophobic. And I wonder: Why do so many Europeans take any and all criticism of Islam as bigotry? People who attempt to silence criticism of Islam are curbing all efforts to induce positive change and enlightenment in the Islamic world, and instead of siding with the secular Muslims and ex-Muslims they are supporting the Islamic far-right. "Islamophobia" functions as a censorship device and is much favoured by Muslim fundamentalists who aim to suffocate open discussion and criticism, so they can comfortably spew their ideological poison in Islamic communities. I wonder, would my European friends adopt the same position towards criticism of, say, Catholicism? Would they label any and all criticism of Catholicism as Christianophobia or Catholicophobia? Why should Islam then be singled out and considered above criticism? This "Islamophobia" reaction, which is commonplace among many Western non-Muslim academics and young people who embrace tolerance and multiculturalism, stems from an implicit cultural relativism. The assumption seems to be that the behaviour and mindset of an individual are relative to her or his culture of origin, and should be judged only within that context, implying that principles like human rights may not be universal or should not be considered as such. 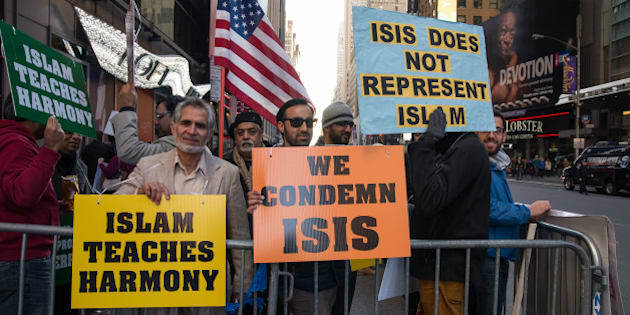 Additionally, those who deploy the charge of "Islamophobia" are often quick to blame all the ills of the Islamic world on colonialism, refusing to accept their multidimensional nature, and yet again in effect abrogating the responsibility to act against extremism. My generation is being systematically denied the right to criticize the foundations of Islamic societies, especially Islam and Sharia law. True "Islamophobes" are those who defend fundamentalist interpretations from criticism, knowing fully well that Muslims themselves are the first victims of these interpretations. They are on the wrong side of history, as they are against the secularization and modernization of Islamic societies, because they know that their values are incompatible with the principles of equality, with human rights, and with the spirit of our modern age. Once a religion is codified in laws, it loses its claim to divinity. This is the problem of Islam today. If the majority of Muslims do not regard religion as a private matter between themselves and God, but as a set of rules for their lives and for the whole of society, insisting on taking Islam as a literal manual for life, then faith and civil laws will inevitably conflict. The aversion to any criticism of beliefs and practices associated with Islam will persist as well. This is why I and many other ex-Muslims and secular Muslims cannot and will not give up on our right to criticize. That does not make us "Islamophobes." We are not bigoted against Muslims (who in many cases are our own families and closest friends). Criticism of ideas is a necessary feature of free societies and one of the reasons they have become and remain open and competitive on an intellectual cultural and economic level.